If you’ve never heard of LastPass, I’m sorry to say that you have been living under a rock. However, you are reading this article, so you’ve already made a step in the right direction. LastPass is one of the best password managers currently available, and it’s basic feature set is pretty hefty, and should be enough for a lot of people. But if you love it so much (like most people do), then it’s worth going straight for the Premium version of the service, especially when it costs a measly $1 per month. If you’re already a user of LastPass, then you’ll know that it’s a cloud service which has plugins for all major web browsers — Internet Explorer, Firefox, Chrome, and Opera. 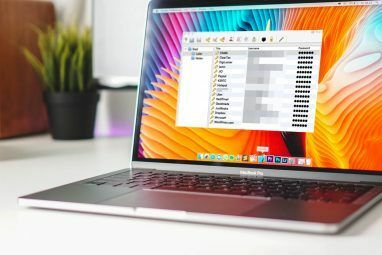 The benefits of LastPass over your browser’s traditional password manager is that it’s available wherever you have Internet, and it doesn’t use any local storage so they can’t be sniffed off of your hard drive. It can also do plenty more, such as automatically recognize when you entered in a password, help generate a secure password, autocomplete or even autologin for you, add notes, and plenty more. However, if there’s so much you can do with it in its free version, what could possibly exist in the Premium version? Good question! With LastPass Premium, you get all the same great features, but now on all your mobile devices as well. In case you’re worried that your phone or favorite browser might not be supported, don’t. LastPass Premium supports iPhone, BlackBerry, Windows Phone, Windows Mobile, Android, Dolphin Browser Dolphin Browser HD - Fast & Elegant Mobile Browsing On Your Android Dolphin Browser HD - Fast & Elegant Mobile Browsing On Your Android Dolphin Browser HD is a mobile browser for Android 2.0.1 and up. With over 250,000 downloads, it is the most popular browser on the Android market. The browser supports flash, HTML5, navigation with gestures and... Read More , Firefox Mobile, Symbian S60, and WebOS. For all of you busy people who depend on your smartphones to stay in touch and get things done, LastPass Premium is more than likely to support your handset. Don’t forget that these aren’t limited to just phones, but devices in general that run any of those operating systems or browsers. Thankfully mobile support isn’t the only additional feature in LastPass Premium. You can also get “IE Anywhere” which lets you access LastPass in Internet Explorer without the need for a plugin. The free version of LastPass allows Google Authenticator Google Recommends 2-Step Process To Protect Your Account [News] Google Recommends 2-Step Process To Protect Your Account [News] Most savvy Internet users probably have at one at least Google account - mainly because Google, for good or bad, crosses paths with so many other websites that it's hard to avoid not using the... Read More to be used as a multifactor authentication method, but LastPass Premium allows the use of “LastPass Sesame” (Windows only) which turns your USB flash drive into a multifactor authentication tool. If you have a YubiKey, you can use that as well. If you’re paranoid, you can use all three as you’re not limited to just choosing one. 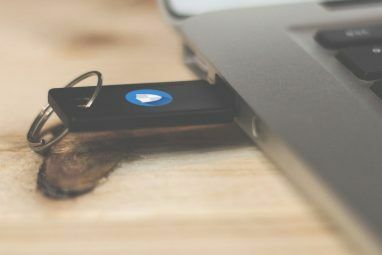 With three outside sources of authentication needed (when set up) along with a killer master password, there’s no way anyone but you is getting to those passwords. Last but not least, LastPass guarantees that you won’t get any advertisements from them, and you’ll also get priority support with the Premium package. Do you like LastPass? Do you think LastPass Premium is worth the upgrade? What Premium features would you like to see included? Let us know in the comments! Crushingly hard to use for this elder for quite some months. I persevered. I'm PROUD I did so & I'm proud i mastered it. It is amazing, astounding & I feel utterly secure. The generate password is the greatest. I was looking for a password manager with this functionality. I bought 1Password for my iPad but I couldn't get into using it because it required you to do everything from the in app browser. I'm really keen to try this out! I love this software. very useful. Thanks for the premium copy!!! Appreciate it!! Been using it for more than 5months. Very trust worthy & very safe. If the need arises I will purchase the premium. Gotta love LastPass!! Been a premium member for over a year, I even got a YubiKey to use in tandem with it. I want to check this out. I'm already using Sticky Password and wanna compare them. Okay, but what happens when LastPass is hacked as it was last year? (see http://en.wikipedia.org/wiki/LastPass_Password_Manager) Since they store all our logins and passwords on their servers, including the encryption keys, attackers can get access to everything. I've been using the free OneLastPass (http://www.onelastpass.com) service, which solves this problem by generating strong passwords based on my personal key + website URL. It regenerates the password every time, so if an attacker would gain access to their site, they wouldn't be able to get the master key. Even if they were to wait for a user request that included the personal key, they would not know the username/login info. Simpler idea, but seems more secure. This an extremely useful app. It's also cross platorm which makes it one of your best programs offered as a reward. Using LastPass on my computer and phone. Its great. After testing multiple password managers, I felt like LastPass (as well as most others I tested including KeyPass, 1Password, and my browser's internal password manager) were lacking. I personally decided on RoboForm and have been using it for some time now on my various computers, USB drive, tablet and iPhone. While LastPass has had multiple security breaches over the past couple years (don't just trust me, google it) this has never been an issue with RoboForm. They were the first on the market and still seem to be ahead of the game when it comes to security and new features. More than just password keeping it also knows how to autofill forms. I have been using LastPass for over 2 years now and has evolved into the best password manager that's available! I recommend that anyone that uses the internet (so I guess that would just about include everyone) use a password managing service. And with all the tools that LastPass offers for free, paying the $12/year for the Premium service is a steal. Don't wait until it's too late and wish you had, join now. Roboform > Lastpass. 'Nuf said. Cool ! Thanks for the update! Have been using LastPass for a long while now for Chrome and it works well enough to help me keep accounts and fill out forms. I just didn't find the Premium version to offer enough to be worth paying for. I would like to see more hotkeys added for multiple profiles, auto autofill, and have better custom forms. I love LastPass. Currently using LastPass Premium (which I happily paid for myself) with a YubiKey for two-factor auth and I couldn't be happier. I agree, but it's totally functional. I've been using LastPass and Xmarks for years, but I finally just got around to buying the combo pack yesterday so I could use it on my phone. Both for $20 a year, totally worth it. I'm still getting used to LastPass (free) after being a long time roboform user (and victim of "lifetime upgrades" scam). Happy to give another company my support. Also very cool you can use points to try it out for a year! The big advantage of LastPass is that they have clients for practically every platform out there. Even the dying (dead?) WebOS platform has a client for it. The other big advantage is all of the really neat two-factor authentication features. 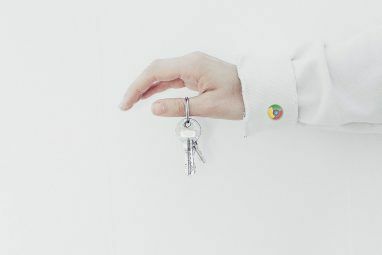 You can use Google Authenticator or a Yubikey. One of the best password managers out there. One of the few paid for apps I bought. Not disappointed. If interface is important to you, Dashlane is much prettier. I use and prefer LastPass though. It has better syncing, among other things. I wrote the review of Dashlane here at MakeUseOf and, while I used Dashlane for a while, I'm back to using LastPass. Dashlane has a pretty interface that I think LastPass can learn from, however. I've been using the free LastPass for years and find it my most used extension of every browser I've ever used. The Premium version also opens up all desktop apps for LastPass security. A year of premium is a great giveaway. I must agree. It's always the first extension I install. I agree! And also it saves time when sometimes you wouldn't even remember if you had signed up for a website or forum six months ago or not.. I've used LastPass for well over a year and h ave had no troubles whatsoever with it. I have only used the free version, but I am satisfied with the security. I've been using the free version of LastPass for a while and I like it. It seems safer than chrome storing info on your computer since Lastpass encrypts it and stores it on their end. But if I can get a free year of premium, I might give it a try.